It was a case of delivering real results when Australia’s best property app partnered with Australia’s leading real estate reality format. Find out how Domain has achieved huge success through integrated marketing with The Block since 2015. In 2017 Domain was focused on driving their credibility as a real estate expert and in turn increase app downloads and memberships, core business metrics for the brand. At Domain we track and measure everything we do and what makes The Block such a strong channel for us is that the activity within the show translated directly to business outcomes. The show integration delivered spikes in new app users every time The Block was on - Melina Cruickshank, Chief Editorial and Marketing Officer. As with any good TV format, The Block is about great characters; the ones that we love, hate, laugh at and learn from. In 2017, we worked with Domain to bring their own character to our screens, week in, week out; a true expert that would demonstrate that when it comes to Real Estate, Domain knows best. Throughout the series we integrated Alice Stolz, Domain National Managing Editor, seamlessly into The Block. She featured with Scotty Cam and Shelley Craft as they checked the progress of each renovation, judging the rooms based on a key selling criterion; whether it catered to the needs of the Elsternwick buyer. Additional Domain experts were also integrated at relevant moments in the series. ‘Domain Doctors’, Data Scientist, Dr Nicola Powell and Economist, Dr Andrew Wilson armed the Blockheads with insights about the Melbourne property market, specifically Elsternwick, to prepare them for the mammoth task ahead, and attended the open for inspections to help the contestants get the highest reserve for their property. With The Block reaching 15.75M Australians across the series, Domain was able to promote their expert suburb knowledge to Australians across the country. As a result they saw a +43% increase in new app users and +20k new members to Domain whilst The Block was on air. 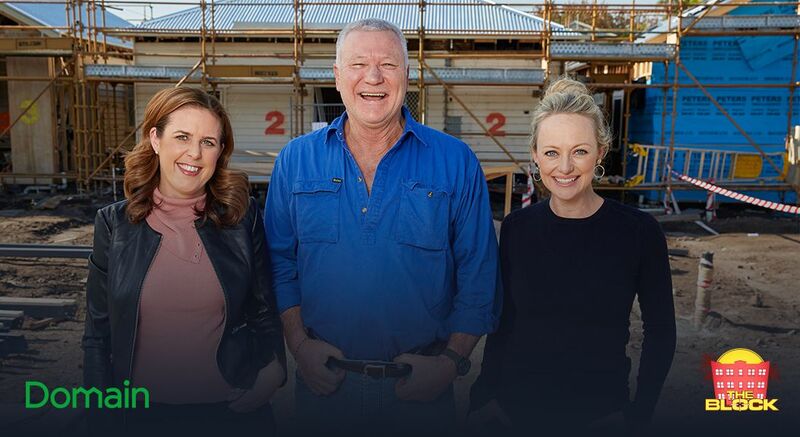 Go to 9Now to watch the latest The Block episode or Homes for exclusive Block content.